My second book about my life before, during and after being diagnosed with Parkinson’s Disease is a very upbeat assessment on how my life has changed in the years since the early signs of the disease presented themselves. I am well aware that Parkinson’s is a life changing not a life ending condition, sadly that is not the case when tragically young people are lost to an undiagnosed heart condition. When I heard how a friend of the family living in London had lost her son to this silent killer, I felt compelled to include a short piece about C-R-Y in my latest book highlighting the excellent work you do and at the same time pledging 50% of the profits made to the charity (the other 50% will be going to Parkinson’s UK). Sadly, the amount donated from the sale of the 100 copies I’ve had printed won’t be a huge amount of money, although people have proved to be extremely generous. I’m just as hopeful that my book will help promote the superb work that C-R-Y does and if I had one overriding desire, it would be that in some way my writing will in help prevent the needless death of a loved one. 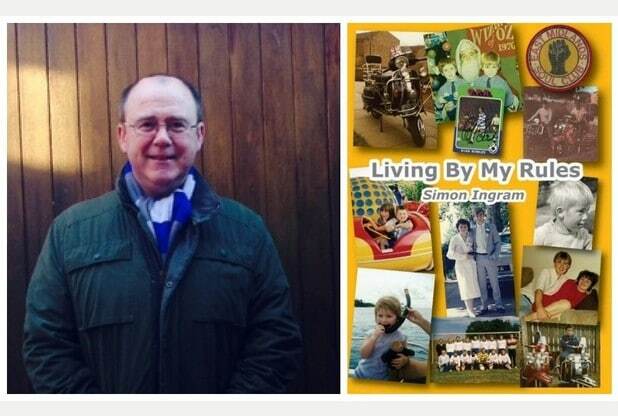 Please contact me at simoningramqpr@hotmail.co.uk OR, on my Facebook page if you wish to obtain a copy of ‘Living By My Rules’.